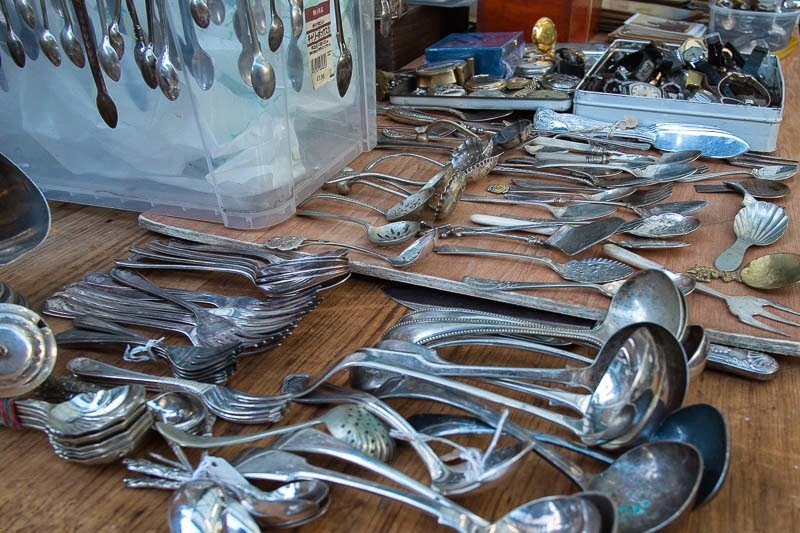 You don't have to be born with a silver spoon you can buy plenty at the antique market at Angel. One of my best friend growing up always got silver spoons and what have you on his birthday, I still feel sorry for him. I have a friend who would love to sort through those spoons. There's lots to choose from there. Quite a selection of cutlery! It reminds me of an antique market here. Lovely lot!! But I spy a box of watches - now that would really temp me! !